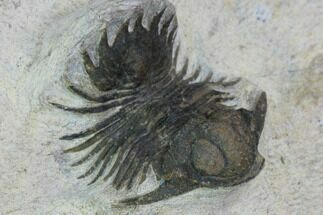 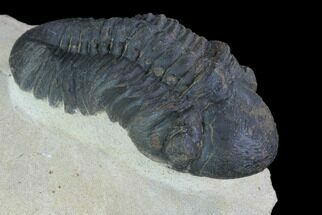 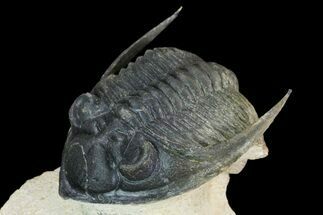 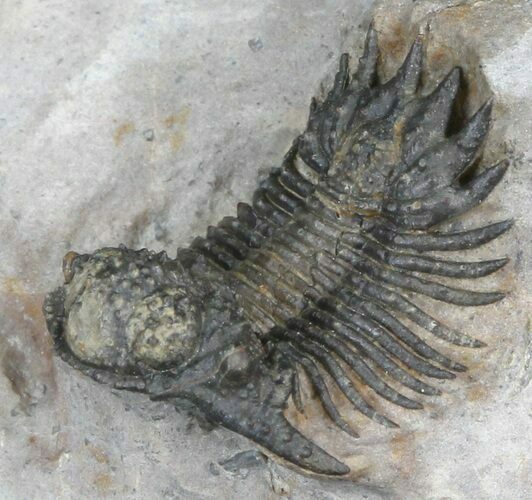 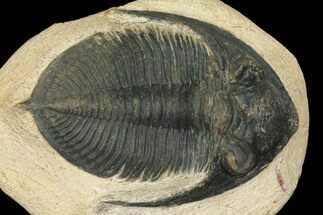 This is a excellent example of a rare lichid trilobite, Acanthopyge (Lobopyge) bassei from Laatchana, Morocco. 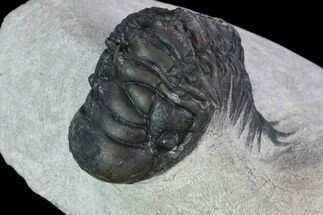 Very nice preparation with great shell detail including the hundreds of small bumps. 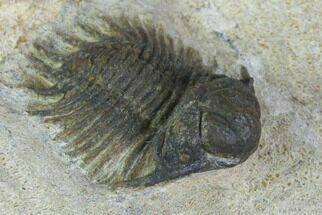 Just a bit of weathering to the very front on the head which has turned the shell a lighter color.